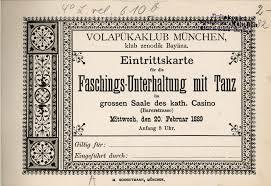 I'm not making this up: Volapük really was very popular in the 1880's. Thousands upon thousands signed up. Local societies blossomed everywhere. 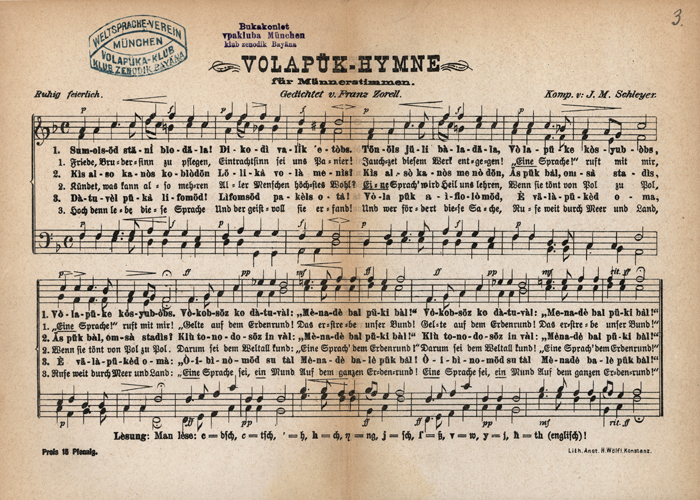 As evidential detritus, there's the Volapük hymn (left) - click it and sing along. Did you know that the German industrialist Hans Martin Schleyer, kidnapped and shot by the Baader-Meinhoff group (the "RAF") in 1977, was the great-nephew of Johann Schleyer, the inventor of Volapük? So - were the members of the "RAF" in fact crypto-Esperantists, or disgruntled Solresol-ists? A very readable collection of the papers delivered at the 400th anniversary conference on Sir Thomas Urquhart, Scottish translator, linguist, mathematician, Royalist and general odd-ball, has now been published. It is available from the Cromarty Arts Trust. My own paper on Sir Thomas and his scheme for a Universal Language (or not) is contained therein. He also makes an appearance in my current work-in-progress, alongside The Urinator...) . The postscript to my book, kindly written free of charge by Dr William Chartres, includes correspondence from the late, great Professor Sigismond Bugarschitz of Vienna. 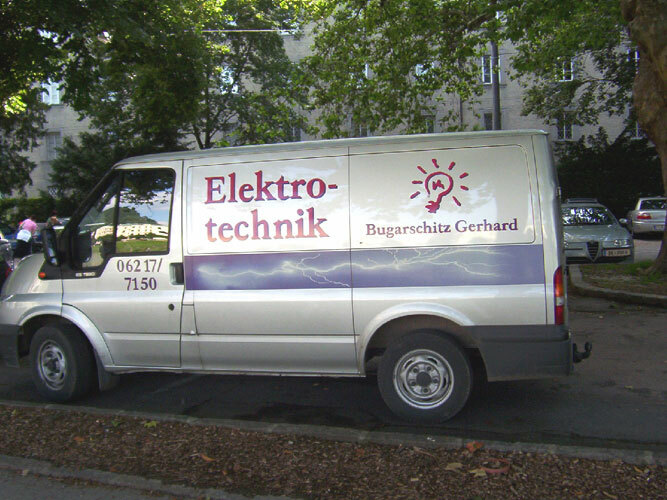 For those who suspect a degree of authorial smuttiness in that name, the proof of the existence of his illustrious descendants is shown here in a photograph from Salzburg in 2004. Vive la France! Vive Le Telegraphe de Londres!